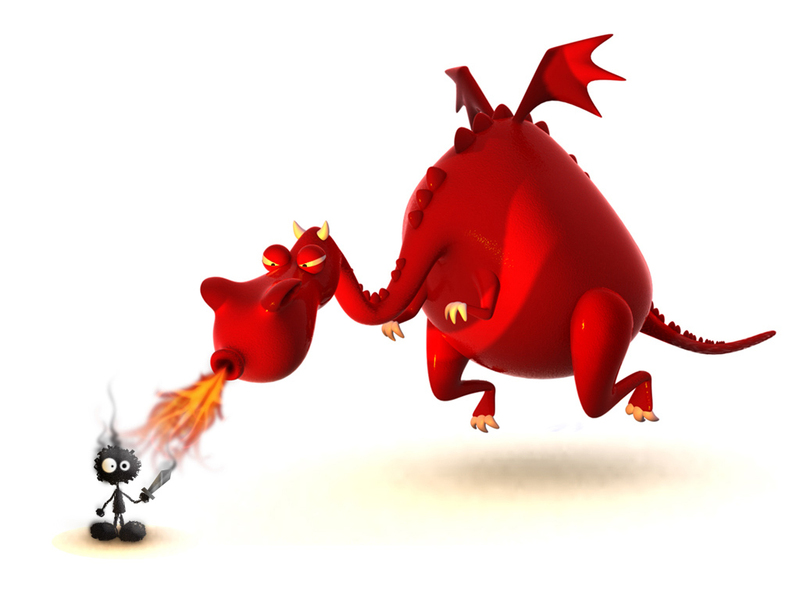 Hey Yo…..The fiery dragon is back!! On this year of dragon…everything oso dragon dragon….luckily people can’t keep dragon as pet…else, I’m pretty sure pet shops will be doing good business. 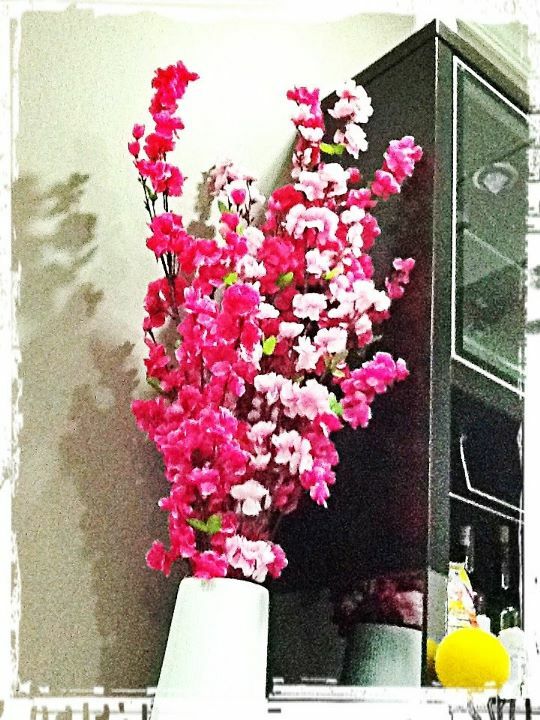 but I tried my best to at least did a simple CNY deco in my home. A vase of artificial Azalea placed on the TV console. Then I placed some small lanterns around the vase. I go for the sweet ones (dunno who lar, will go for the sour ones). 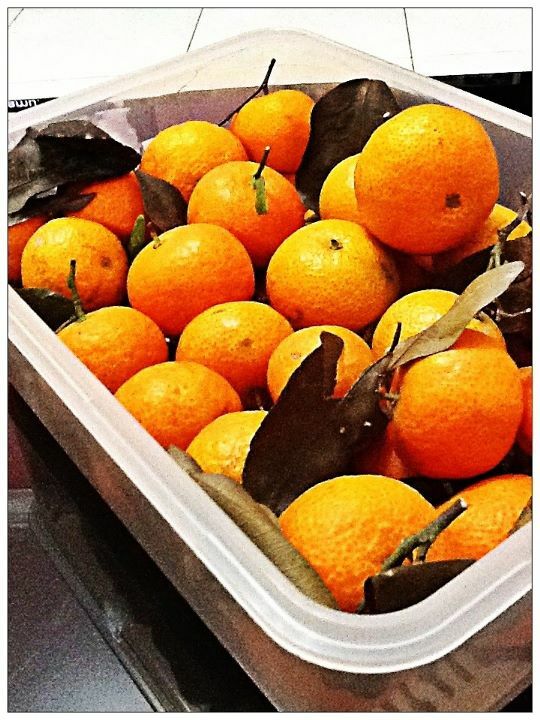 So, I got myself a basket of mini tangerines and also some XL size ‘pong kam’. (many sizes…you want XXL oso got). All checked and into my luggage it goes. Where to? Balik kampung…..to HB’s hometown of cos. (Sarikei, Sarawak). Then we took a flight home. 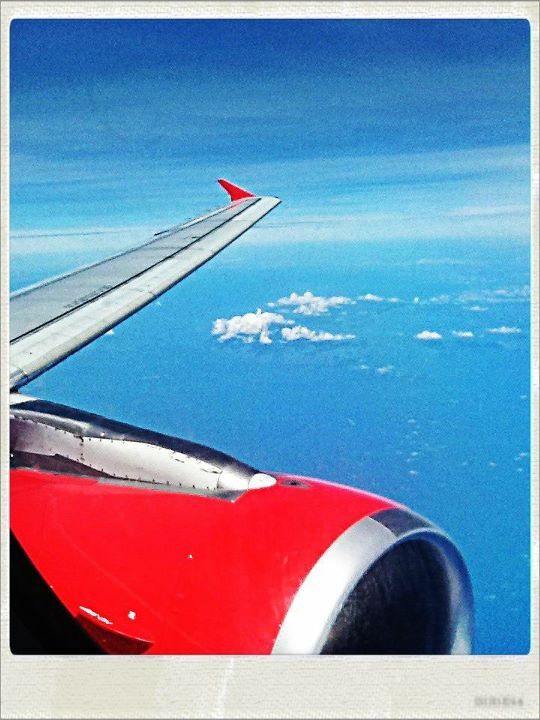 The flight journey from KL to Sibu Airport took around 2 hours. On eve of CNY, people usually have family reunion dinner. A table full of auspicious & delicious dishes. (No photo here…..too busy filling my stomach). 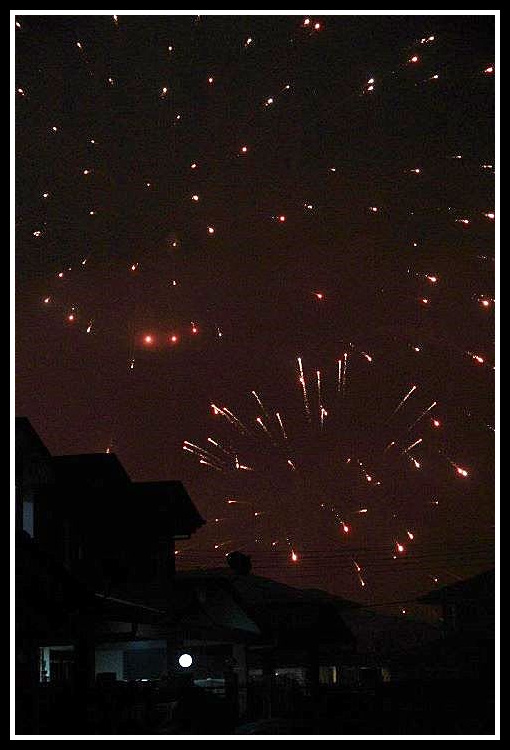 Then by midnight, you will see the sky is just like falling meteor rain. 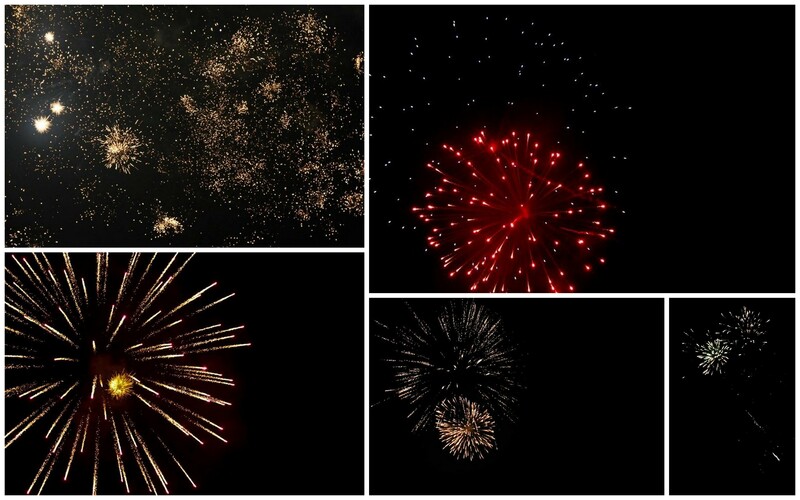 Fireworks everywhere. (Guess the birds should be at home by that time). I don’t need to crowd with people during countdown of New Year. I still can watch these during CNY. Woke up earlier on first day of CNY. 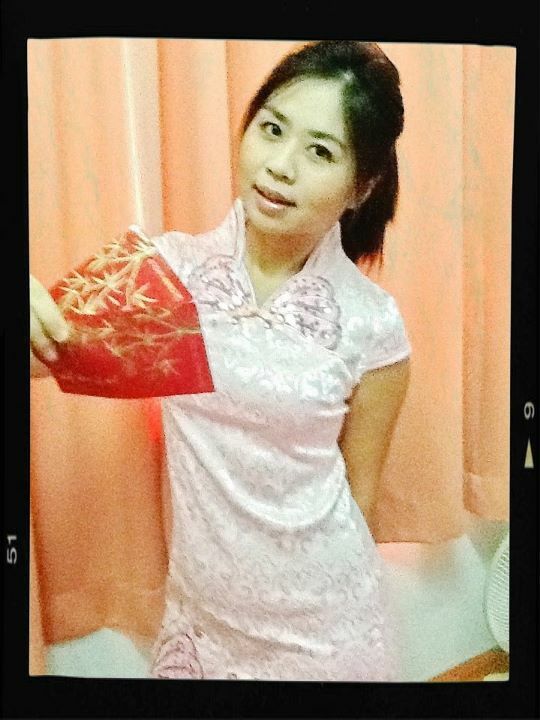 The married couples are suppose to give ang pao (red packet) to the children or people whom are not married (single). 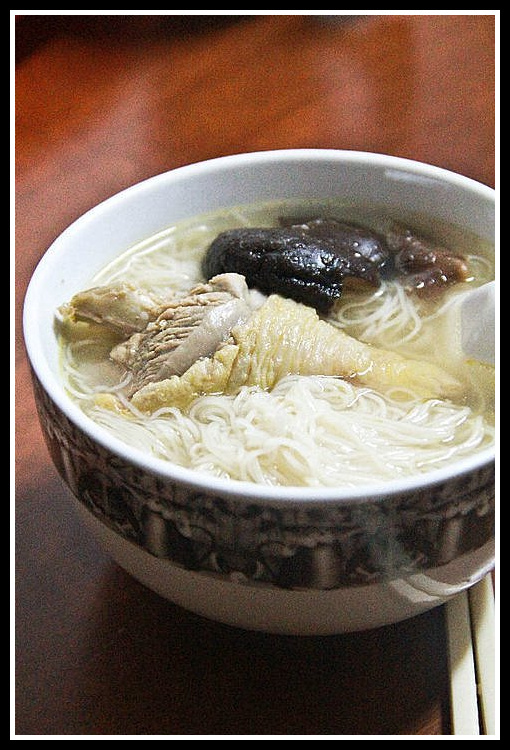 A bowl of Mee Suah (rice noodle) with rice wine cooked by Mother In Law during Chinese New Year and its eaten for breakfast. It was a good one!! Mee Suah symbolize longevity. A common practice by the Hokkiens and Foo Chow-nese. I still practice the house visiting (pai nin). Visit friends. 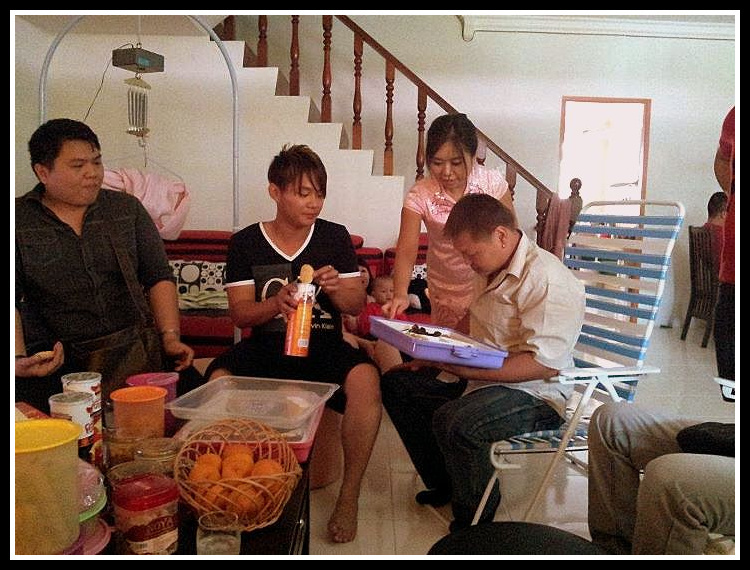 Go each house…eating the almost similar food (soft drinks, prawn crackers, layer cakes, cookies). Then at the end I feel like having a bowl of hot noodle. 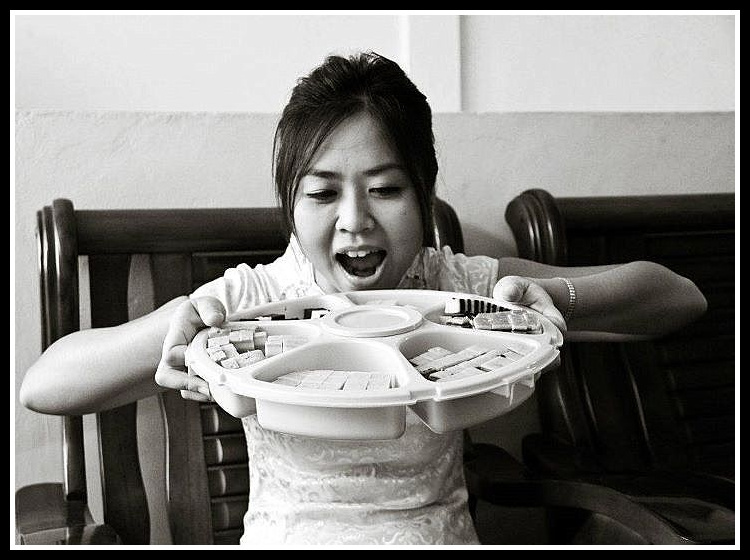 If you are celebrating CNY at Sarawak….you will never miss the chance of trying these delicious layer cakes (kek lapis). Its common seen in every house. However the price is expensive. Because the process of making this cake is quite tedious and time consuming. 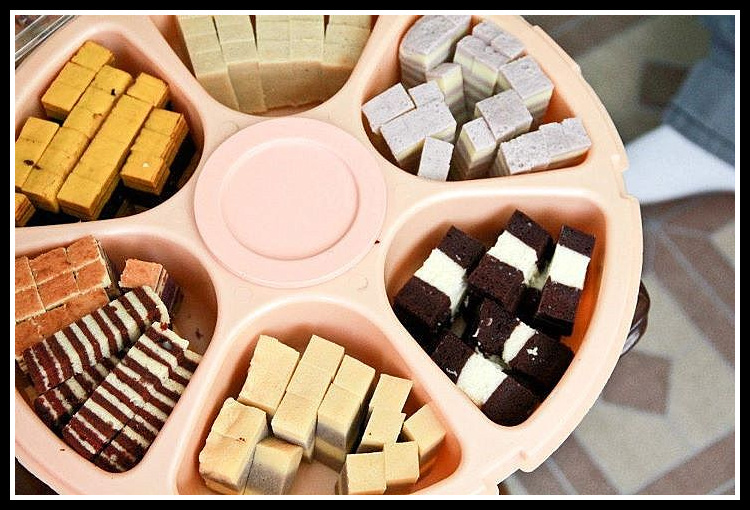 Waaahhhh…..Can I finish the whole tray??? Of cos not la!! Goshhh….these are real fattening wey…. Happy Chinese New Year Melissa. Wishing you all good things! Nice story about your CNY 🙂 Gong xi fa cai!